ARQ, the new original movie from OTT service Netflix, is woefully standard. Not only is it woefully standard, but it is a blatant premise ripoff of the criminally under-seen Edge of Tomorrow. 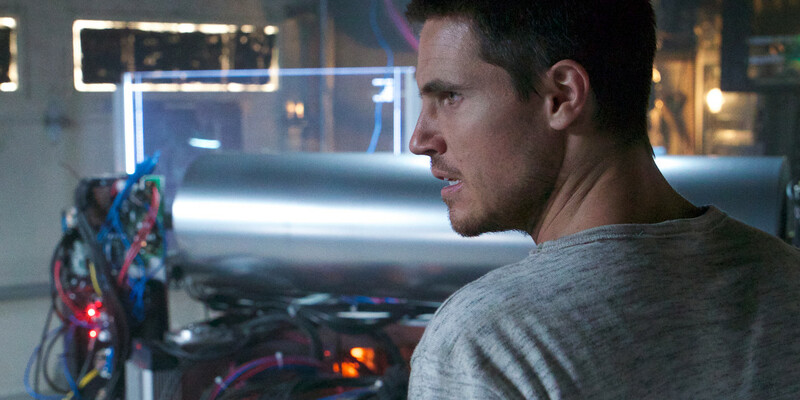 Renton (Robbie Amell), or, as he is affectionately referred to by his compatriot Hannah (Rachael Taylor), Ren, finds himself stuck in a time loop paradox in which the same infiltration of his hidden compound occurs over and over again.